Prague, the capital of Czechia, is a city that is usually full with travelers. If you’ve ever been there, you know that you have to make your way through the crowd to get to the most important tourist attractions. While it’s quite obvious that the Old Town is worth visiting, there are many other fun things to do in Prague that only locals know about. You may have difficulties in finding truly local spots all by yourself. Where do native Praguers go, where do they spend their free time? 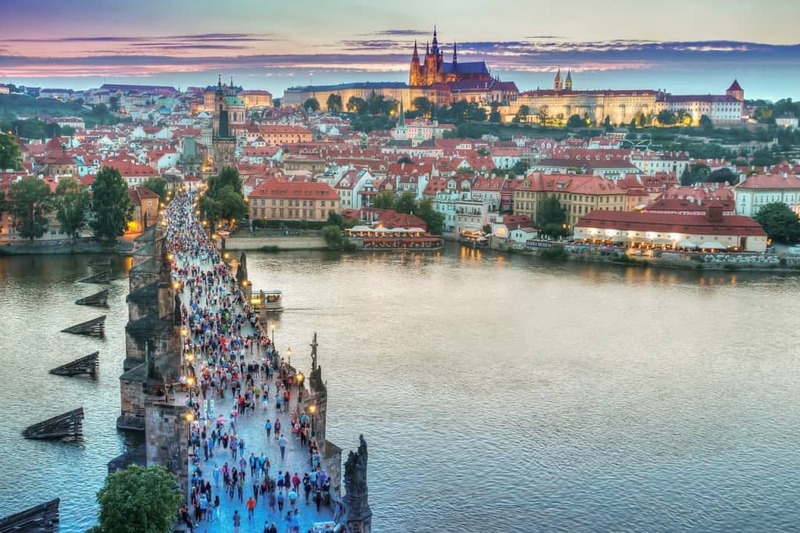 In this 3 days in Prague itinerary you will find all you need to make the most of your visit in Czechia – the popular sights and Prague off the beaten path places. Looking for Prague tour package? Search for the best deals here. You can start your 3-day tour of Prague by having a coffee with a bagel in the La Boheme Cafe. In fact, you can pick any cafe in the city center, as there is one in almost any building. However, La Boheme is a bit larger than the rest and is located a couple of blocks from the Peace Square (Náměstí Míru) where the Church of Saint Ludmila sits. What this means for you is three more minutes of walking, and a bit less crowded place to take your first Prague breakfast. Besides, it’s a pun on the Czech Republic, as most of it used to be called Bohemia. If you’re staying in the centre, you can easily walk to La Boheme Cafe. If you’re not, take Prague taxi, or public transport to Vinohradská tržnice station. 4.5 rating on Tripadvisor comes at a cost. The place is not the cheapest one in Prague, but you can count on a light breakfast to cost less than $10. 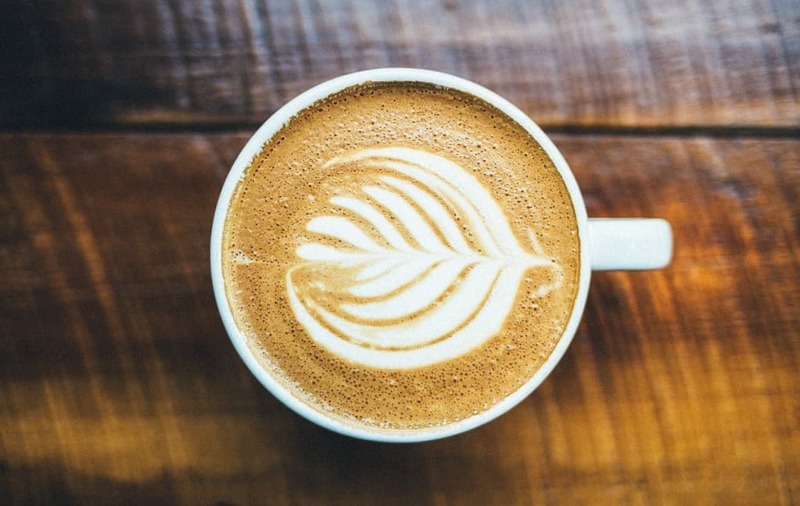 If you’re a coffee lover, talk to the baristas before you order. The place has dozens of different coffee beans from all around the world. The barista may suggest something to surprise your tastebuds. Start the sightseeing with having breakfast Prague at the La Bohemia Cafe. After you’ve saturated your thirst for the classics of any Prague sightseeing tour, it’s time to delve deeper into what this city has to offer. One of the first things on this list is this installation in Prague’s Municipal Library in the Old Town. 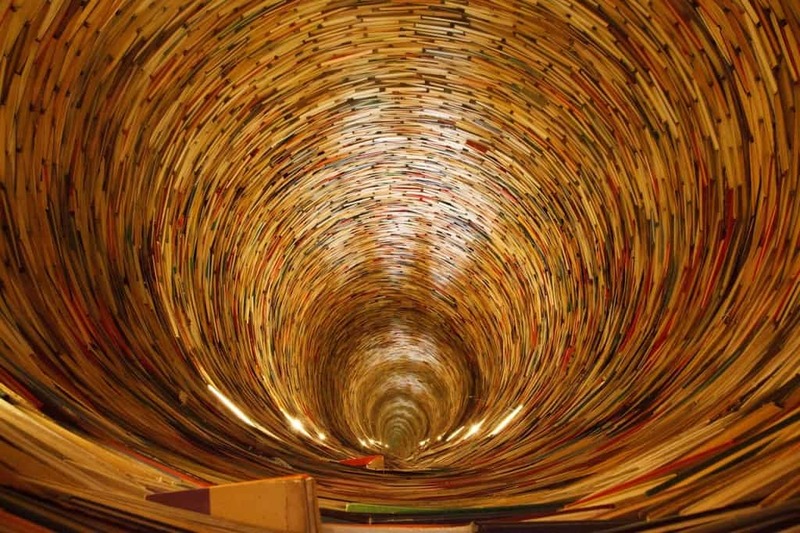 It’s a tower built out of books. On top and at the bottom of it you’ll find mirrors that make it look endless. The best part about it is that you can step inside to take a look around. It’s probably one of the best things to do in Prague with toddler. Your kids will be amazed once they get inside. It’s situated in the city center, some 20 minutes from the cafe. It’s not a short walk, but the district you’re walking through is worth seeing. Walk around the Old Town to see the beauty of Prague, before you get to the destination. The entrance fee is $10 for adults and $20 for families. The walk from the cafe to the museum takes 20 minutes. Make that 2 hours so that you have the time to wander the streets of Prague because this itinerary will lead you further away from it later. Seeing the book tower at Municipal Library of Prague is a must-add to your Prague itinerary 3 days. What hides behind this long name is a unique piece of history. Unlike the huge cathedrals that you can find in the old city, this small church is one story tall and built out of wood. It’s a part of the Ethnographic Museum’s exhibition and you could probably see it on Prague bike tour. 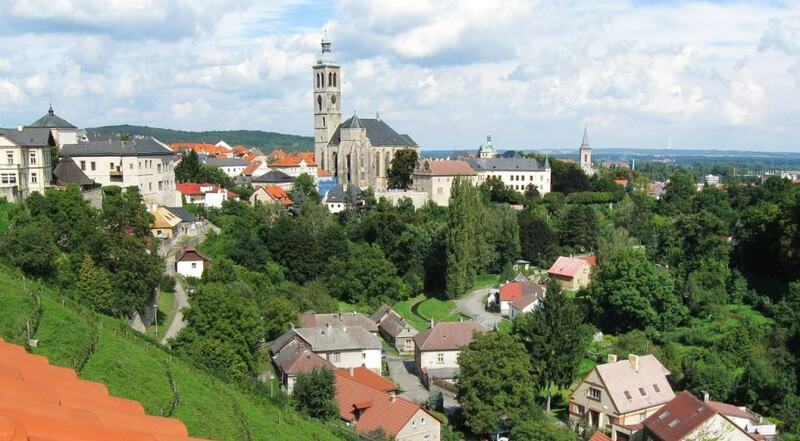 If you’re not into bikes, you can head to the Kinský Gardens and check out a church there. Walk down the riverside to the Legions’ Bridge and cross the river there. Then walk straight to the park, and find the church there. Visiting this church is free. If you’re a believer, look up the time of service on their official website to participate. The Magical Cavern is an example of how one man can turn a technical building into something charming. An artist Reon Argonian created a gallery for his surreal paintings. It is so surreal that it became a tourist attraction. 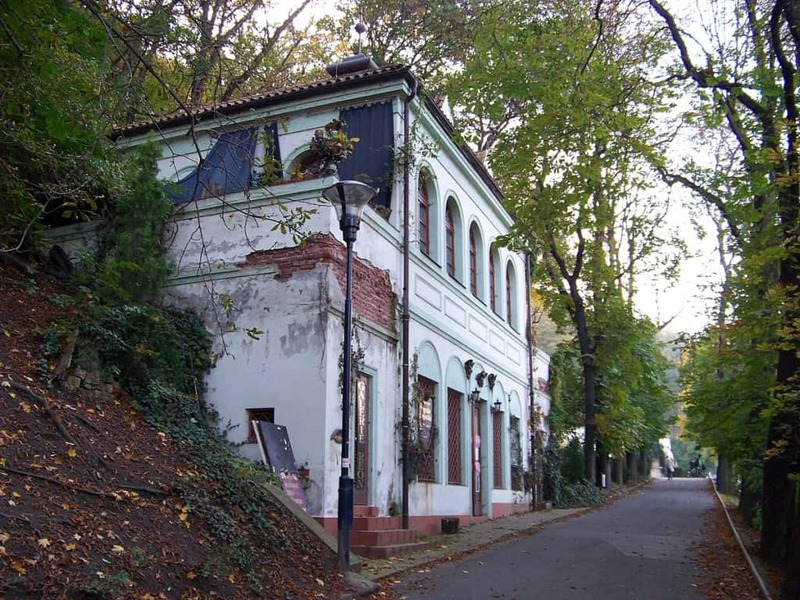 You can find this old mill building in the middle of the Kinský Gardens. The place should not be crowded on a regular day, and its surreal atmosphere is worth a trip. Going there is one of the things to do in Prague in winter. After you’ve seen the church, walk up the park. If you see the Hunger wall, the building of Magical Cavern should be nearby. The entrance fee is €3. 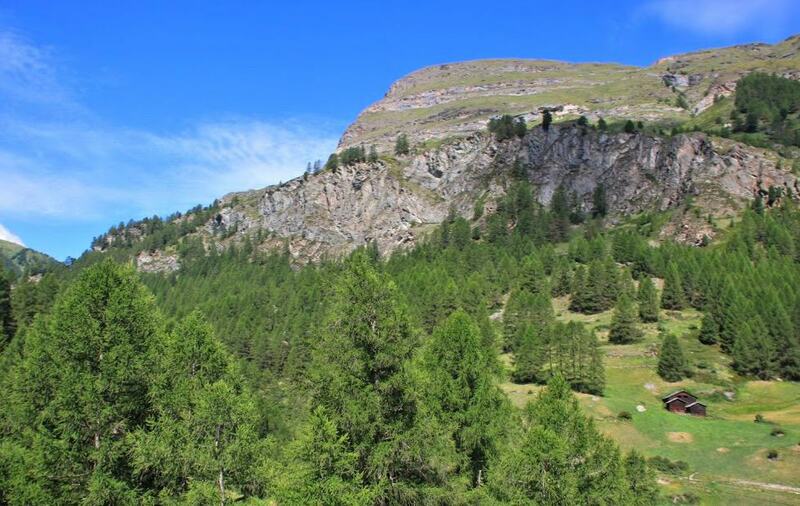 The walk to the Magical Cavern would not exceed ten minutes. However, if the weather is good, you may want to spend up to half an hour in the park, it’s beautiful. Visiting the Magical Cavern is one of the top Prague indoor activities. It is situated on the northern slope of Petřín Hill. You can access it by crossing the Charles Bridge, or join Prague Segway tour to see it (more about it later on in this article). It also a part of Prague bus tour. This garden was built in the early 18th century. You can expect a strong Italian influence there as it’s one of the many baroque places in the city. You don’t even have to walk out of the park you’re in. Vrtbovská Zahrada is on it’s northern point. It’s a ten-minute walk from the Magical Cavern. The entrance fee is a bit less than $4 for adults, $10 for families. A walk around the garden and a couple of photos won’t take more than 15 minutes. If you’re not a baroque fan, that is. The view on the red-tiled roofs of Prague is magnificent from this garden. Make sure to snap a couple of photos. If you are looking for alternative Prague places to visit, head to Vrtbovská Zahrada. 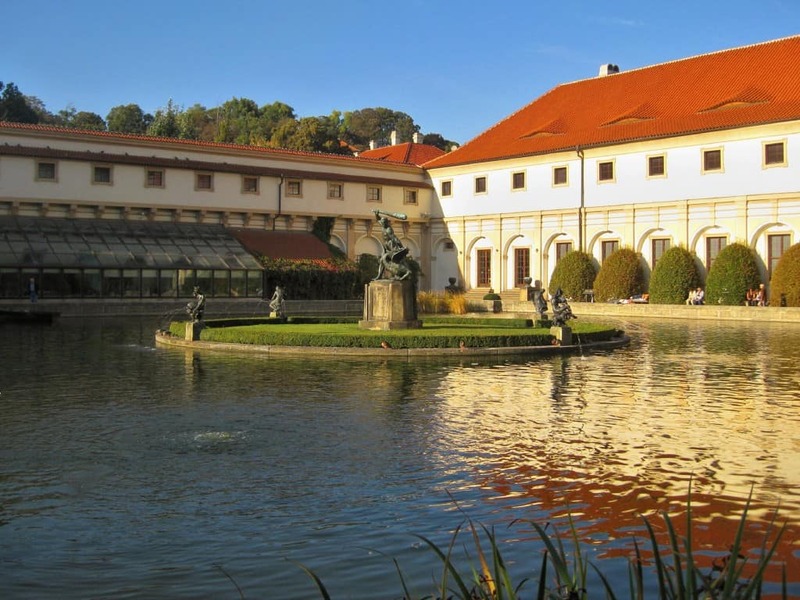 Valdštejnská Zahrada or the Wallenstein Garden is another place to add to your Prague weekend. It’s another baroque garden located very close to Vrtbovská Zahrada. You can walk there from the previous location or by crossing the Mánes Bridge if you’re heading from the Old Town. It’s a short walk up from the previous garden. Make sure to pass St. Nicholas Church and St. Thomas Church, they’re on the way to Wallenstein Garden. Same as with the previous garden, this will not take you more than 20 minutes for sightseeing. Are you bored in Prague? 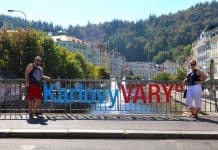 Go to Valdštejnská Zahrada and have fun! If you’re passing through Valdštejnská Zahrada, you just can’t miss this place. The Grotta is a baroque building near the garden that is covered in artificial stalagmites. The exterior is between looking daunting and magnificent. Grotta is inside of the garden. A couple of minutes to marvel at the beauty of the structure and snap a picture. Amazingly enough, there’s another Grotta in the city. It’s a piece of baroque architecture as well, but this building doesn’t have stalactites on it. Rather, it houses a man-made cave! It’s situated in Staré Vršovice, which is quite a long way from the first Grotta in Valdštejnská Zahrada. It’s situated in Staré Vršovice, which is quite a long way from the first Grotta in Valdštejnská Zahrada. You can probably see both Grottas on Prague bike tour. If you’re dying to see Prague’s winding streets, the New World (Nový Svět) is probably the best place you can go to. 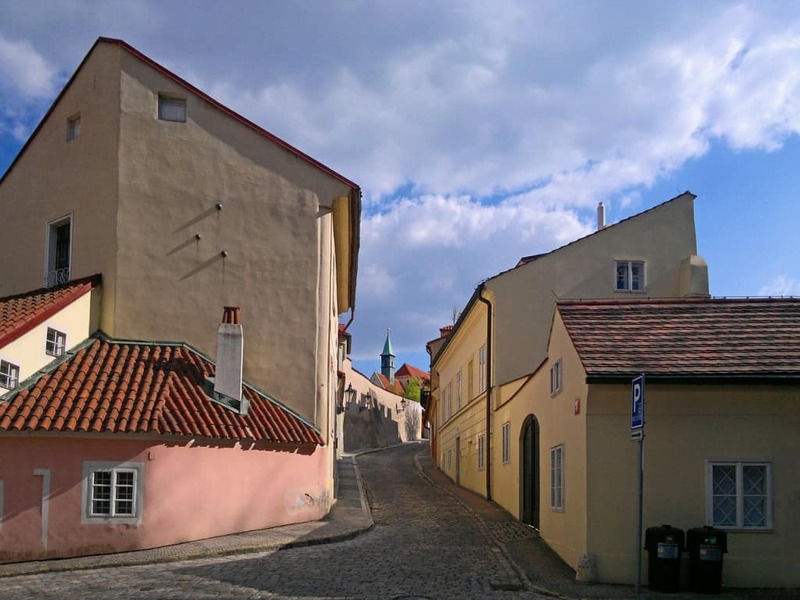 It’s a part of the Prague Castle, and most Prague walking tours will include it. It’s not as picturesque as the St. Vitus Cathedral is, but it definitely has its own appeal. The quarter is incredibly cozy. It’s a part of a late medieval settlement within the castle, and people were forced to build their homes atop the hill. All of this results in it being one of the prettiest places in Prague. If you liked the district, you can even stay there. There are a couple of hotels in and around the castle area. Many people would argue it’s one of the best places to stay in Prague. This street is situated in about five minutes from Wallenstein Garden. Make sure to take Thunovská street to your destination to pass the gorgeous Hartigovský palác on the way there. It’s free, it’s just a street after all. Give yourself up to an hour to explore the whole district. There are so many cozy streets you will not want to leave. The streets here are paved with cobblestone, so make sure you wear comfortable shoes. Wander around one of Prague local places- Nový Svět. The Břevnov Monastery is situated in a pretty boring part of town. The monastery itself is a great place, however. You should definitely see it if you are religious, or if you like medieval history. Founded in 993 A.D., the monastery is still functioning. 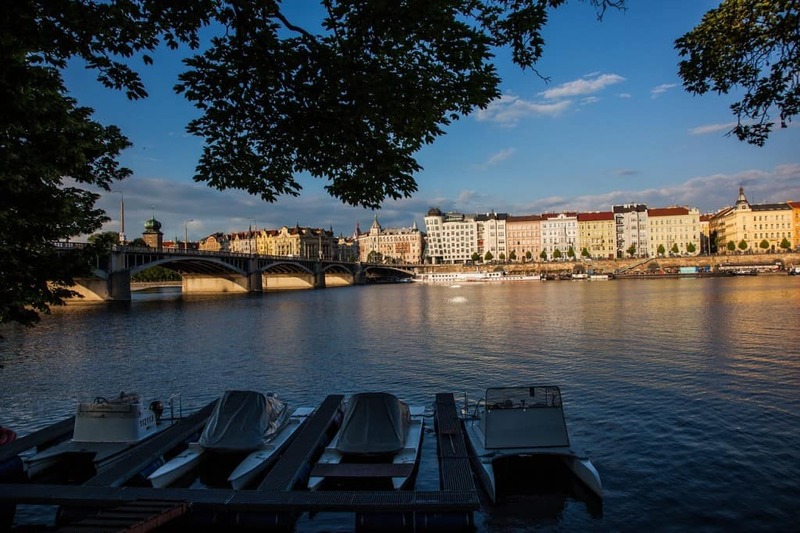 You can get a private tour of Prague and learn more about the history of the place. It has a nice hotel and restaurant on the premises. The price is around €60 a night and gets higher on Christian holidays. The monastery is far from Nový Svět, and there isn’t anything to see on the way. If you’re not using a car rental, you should head for the Břevnovský Klášter tram stop. The other option is to join Segway Monastery Tour, visiting The Brenov Monastery is a part of it. The entrance fee is a bit less than $5. The hotel would cost you a bit over $60 on a regular day, and more than that on holidays. 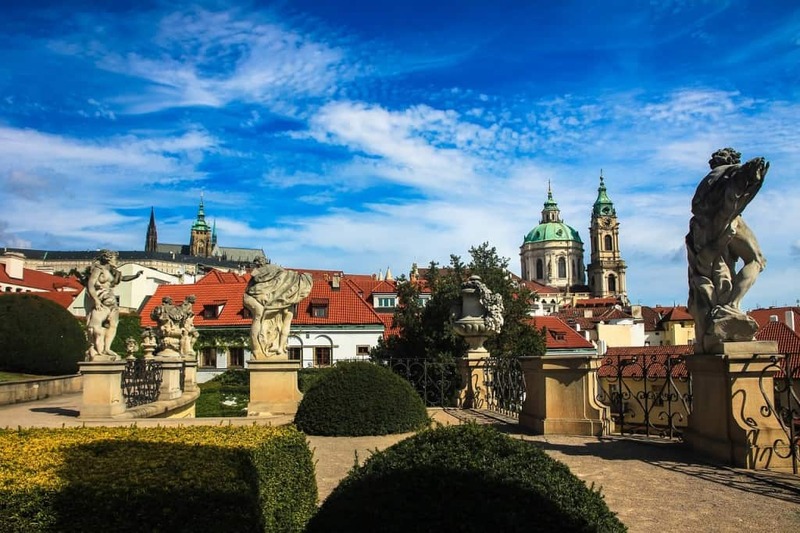 Want to visit one of the top Prague off the beaten track places? Go to The Břevnov Monastery. Do you like to experience a truly unique Prague itinerary? Try taking a train to Divoká Šárka. It’s a wildlife park near Prague, and you can do quite a few things there. This park has some steep hills and rocks for hiking, lush green fields for walking around the countryside, and a big lake to swim in or chill nearby. You can climb the highest hill and then rest on the beach or in one of the nearby restaurants. You’ll have to catch a tram to Nádraží Veleslavín. 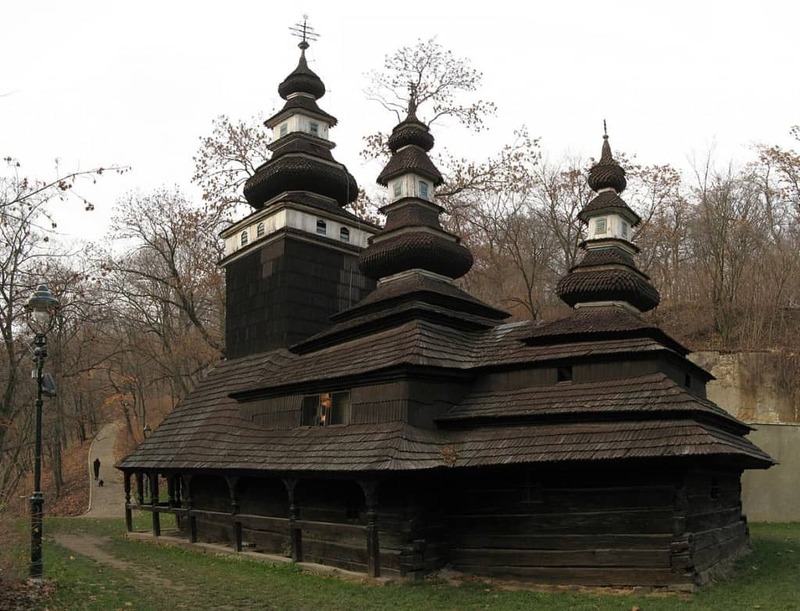 The ride won’t take more than 15 minutes, as Břevnov Monastery is rather close to the place. The rest of the day, as this is the last stop for today. Shop in the nearest supermarket and have a picnic in the park, if you don’t want to spend too much money on restaurants. Divoká Šárka is a truly local Prague spot. You need to visit the Old Town at least once during your stay in Prague. Since you don’t have much time in the city, it’s good to join a tour, to see all the important sights quickly. You can try Prague walking tour but let’s face it- you don’t want to run around, from one tourist attraction to the other. Use a technology instead. There is a purely Czech company called Segway Experience, where you can also take e-scooter tour (you can find them next to Charles Bridge). They have pretty awesome guides. You will all go by electric scooters up the hill to the Petřín Lookout Tower (Prague Eiffel Tower), the second oldest Strahov monastery, the Castle to Letná, where you can admire a view of all bridges over Vltava River. It’s arguably the best Prague viewpoint. Then you will head for the city centre and during 3 hours of incredible fun you will actually see all Prague sights. Prague’s city authorities don’t allow Segways in the Old Town area anymore, that’s why Segways moved to the area of Prague monasteries. E-scooter tour in Prague with the view of the Prague Castle. When in Old Town, be sure to eat trdelnik. This sweet pastry wrap with a filling is one of the top Prague food to try. 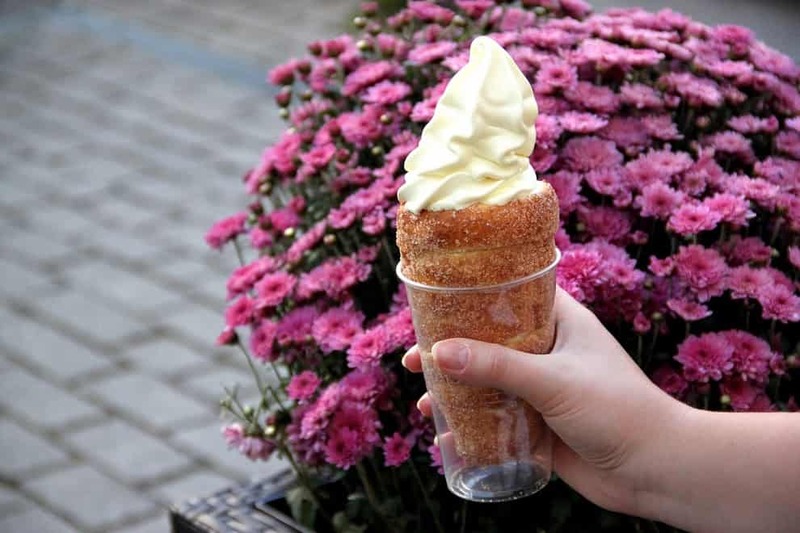 Every street vendor would say they have the best trdelnik, but if you want to get fresh ones, you have to walk to Karlova street to find a small shop that serves them best. Trdlenik is a must-try Prague food. This nature park is located on the outskirts of the city. There’s a lot to see there – from beautiful rocks to old factory buildings near the limestone karst. If you’re looking for the best places to visit in Prague in 3 days, this can take a whole day of your trip. You can cap it all off with a nice dinner at one of Prague’s 16 cheap and tasty restaurants, and a swimming session at Biotop. It’s on the outskirts of the city, close to Praha 16, so you’ll either have take a Prague taxi or use public transport. The entrance in the park is free. Anywhere between three and four hours, the park is huge. Dress comfortably, and take your first aid kit in case someone gets hurt. End your journey at the southern tip of the park, it’s closer to the next point in the itinerary. 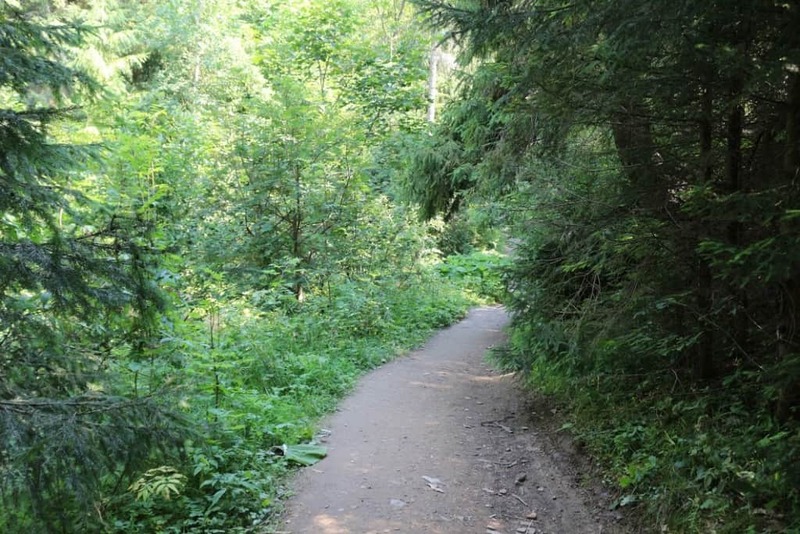 The Nature Park Radotín-Chuchle Grove is one of the Prague hidden gems. Biotop Radotín is one of the best places for swimming in Prague. In fact, it’s the city’s only eco-friendly public pool. What makes it different from other pools is that the water in it is filtered by water plants. You won’t have to bear the smell of chloride as any other public pool gives you. Going there is one of the top non touristy things to do in Prague. It’s a short walk from the Nature Park’s southern tip. The entry fee is $5 for one person, and $9 for families. It gets cheaper in the evening. Swimming won’t take you longer than an hour. Don’t forget your swimming essentials at home. If you’re okay with venturing out of Prague, this place is a must-see. Situated some 80 kilometers from the city, the town is arguably one of the best places to visit near Prague. This medieval town has two great tourist attractions: the Sedlec Ossuary and the old mint. You can find Prague guided tours that would explain the history behind the two. Keep in mind that 80km is not a short trip, so if you’re planning to visit Prague in 3 days, you should give Kutna Hora at least one full day. You have to either rent car Prague, use a train, or join a tour. Tours start at $50 a person. Train tickets would cost you $5 a person. The trip takes a bit over half an hour. Feel free to dedicate up to 6 hours to exploring the place. Especially so, if you’re taking a guided tour. Don’t lose track of time if you’re using public transport. Hire Prague tour guide. and go to Kutna Hora. It is a 1-kilometre-long promenade stretching along the bank of Vltava River below the Dancing House. Although in winter it is rather an empty place with nothing special going on, it is sometimes difficult to find a free place to sit down there in summer evenings. Local people go there to have a sit-down with friends, feed swans, but especially have something good to eat and drink and listen to music. 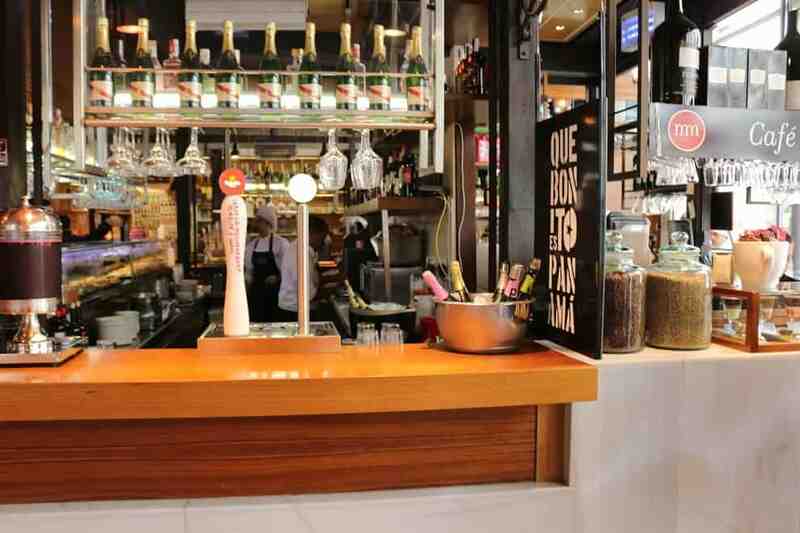 You can find there many bars offering Czech beer, various drinks or specialities. The current landmark is Captain Morgan’s ship having an appearance typical of pirate boats. Farming markets and beer festivals are held there every Saturday so everyone will find something to enjoy there. There are also occasional concerts and food festivals. You can easily walk there from the Old Town. It depends on you, and on the season of the year. You can spend there 15 minutes or the entire day. Naplavka is a must visit while in Prague. The place markets itself as an art district and is situated in a repurposed factory building. 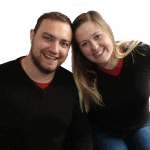 Pragovka seems to be always booked months in advance and hosts a variety of events. This includes abstract art dealing with utopian ideas, as well as stand-up shows. Apart from the events this place hosts, it’s a great place to hang out with local bohemians and learn more about the culture. Getting to this destination will require a trip on the public transport to the Poštovská station. That is if you didn’t decide to use car rent Prague. This depends on the exhibition. For the most part, the prices don’t go over $10. Expect to spend anywhere up to 2 hours here, especially if you like the exhibition. You may have to book in advance. Also, it’s time you bought Prague city pass if you haven’t already. This day requires a lot of public transportation. Going to Pragovka is one of the fun things to do in Prague. Are you looking forward to some Prague shopping? 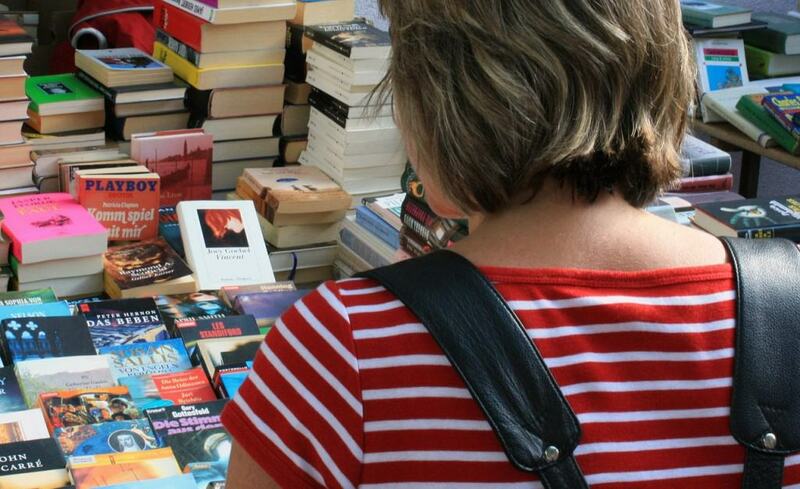 Take a U-turn and choose the Bleší Trh Flea Market instead of Prague shopping malls. For less than a Euro, you get access to the largest flea market in Europe. If you’re anywhere near Prague 9 district, you just have to pay it a visit. Besides, getting a trinket at a flea market is a much better than something you can buy from a souvenir shop. If you want to get to the market without using Prague Uber, look for the U Elektry train stop. The entry is 20CZK. The price you pay for your shopping the goods depends on how well you can bargain. There’s a lot to see here. Give yourself at least an hour to explore what do locals offer. There is no better place for Prague shopping than The Bleší Trh Flea market. Everyone is looking forward to a pub crawl Prague. If you’ve walked all around the city and beyond, you’re probably thirsty for some Prague craft beer and the junk food. The Zizkov district is the best place to indulge in those sins. This is where the pubs that brought Prague its worldwide fame operate. Don’t settle on a pub because it’s the oldest or has the most beer on the menu. Go on a pub crawl Prague, see a bit of everything, talk to the locals, and ultimately, have a great time. Hop on a tram and go to any station in Zizkov district. This depends on how do you spend money on Prague pub crawl. The tours starts from $20. A beer in each bar and a couple of conversations with the locals will take you up to three hours. That’s the minimum. Pub crawl Prague tour is a perfect idea for unforgettable night in Czechia. If you’re looking for Prague nightlife area, you may be content with the clubs in the Old Town. The 36 Underground is located there, and on most weekend nights you will find the place very busy. 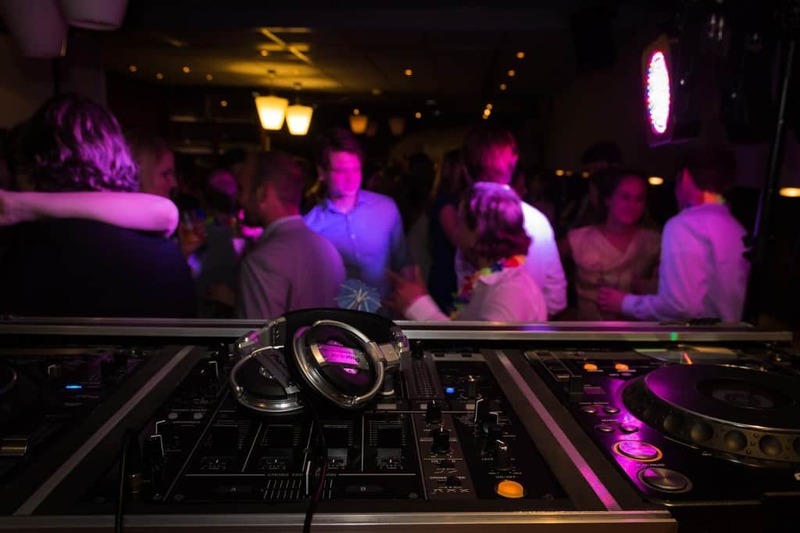 It hosts foreign and local DJs who overwhelmingly play techno. Take a tram to the Vltavská station and walk to the nearby factory buildings. The entry fee differs depending on the event, but won’t be more than €10 for most nights. It’s your last day in the city! Experience Prague at night and have fun untill the sunrise. Old Town is Prague nightlife district that you cannot miss. Still wonder where to go out in Prague? If you are fond of dance music, DnB and pop, you can go to a popular street called Dlouhá. There are so many bars that you won’t be able to count them on your fingers. Among the most popular ones are Roxy, Harleys and James Dean, and you can meet there both tourists and Praguers. Hardly anyone knows that the most modern club in Prague, Epic, was founded only several dozen metres from there. If you don’t feel like coming across any tourists, take the underground and after 5 minutes you will get to a square called Náměstí Míru, where you will find more local bars with Retro being the most famous. If you are thick-skinned and want to see an environment which you can hardly experience elsewhere in Europe, go to Cross Club. Are you fond of rock? Go to Národní třída and visit Rock Cafe (not Hard Rock Cafe) or Vagon, where local bands have concerts every day and where people don’t pay any admission fee after midnight. But that’s just the tip of the iceberg. It is estimated that there are more than one thousand bars in Prague now. How many days in Prague? You will need at least 2 days in Prague. Prague taxi app Prague Uber(click for the first free ride) or Taxify (click for the first free ride). Money exchange Prague At the airport or anywhere in the city. Use Multicurrency Card to reduce the fees. Previous articleBest Places to Visit in Mexico – What to Visit in Mexico? 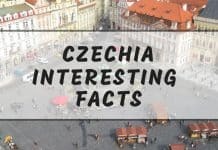 Interesting Czech Republic (Czechia facts – fun facts you didn’t know about!